Victoria, or Alexandrina Victoria who was born in 1819, was the Queen of the British Empire from 1837 to 1876 ascending the throne at the age of 18. She is also known as the Empress of India, a title she fondly used. Even though United Kingdom was already a Constitutional Monarchy long before her reign, she did wield some influenced over British Government policies. 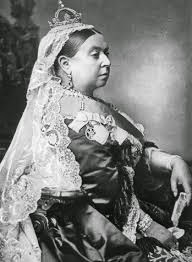 She ruled the Empire for more than 63 years and it was known as the Victorian Era. The Empire was at its height and experienced a tremendous development in science, art, culture, economy and politics. In 1846, Captain Rodney Mundy witness the ceding of Labuan by the Sultan of Brunei to the British Crown renaming the island Victoria. Now, the name Victoria is also known as the capital of Labuan. Sadly, it is renamed Bandar Labuan. In the early days of Victoria (Bandar Labuan), right until the late 1980's, Labuan was the hub of Barter Trading. Filipino boat traders used to bring copra and other agricultural products to Victoria, and they brought back electronic goods, canned foods and even bakeries such as breads. However, as trading became more complex and traders more informed, Barter Trading became obsolete. Nowadays Victoria experienced a boom in 3 and 4 stars hotels not only to cater for the tourists from the mainland Borneo (including Brunei) but also the growing oil boom. When the oil price was hovering around USD 100 or more, there was still tremendous shortages of hotels. 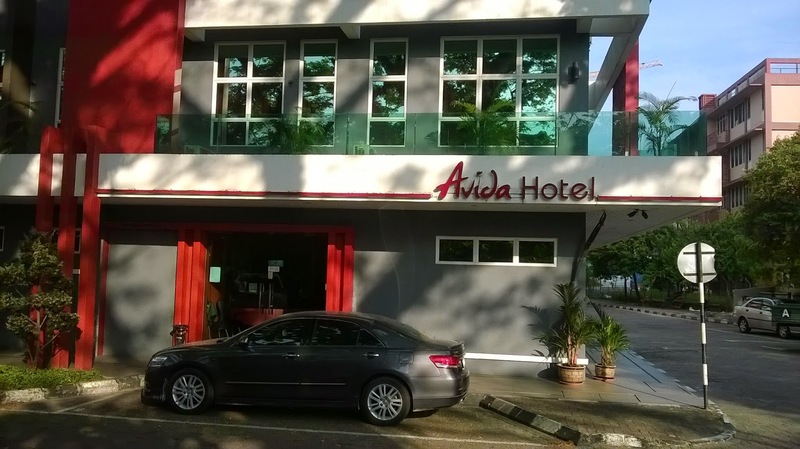 I like these small and medium size hotels because most of them offer reasonable price. Besides it is extremely clean and the air-con and hot water are reliable. I hate hotels which always experience a breakdown while putting on smelly towels and bed sheets. However, since last year, there have been a drop in occupancy for hotel rooms due to the falling oil price. I consider Victoria to be a food paradise because of the influenced of Chinese, West Malaysian Malays and Brunei. Each of them had a unique style of cooking, and Labuan is the best place to experience them. Tourist should try out the "Ambuyat", the traditional Borneo delicacy made from sago but what is worrying the culture of eating Ambuyat is dying, especially among the younger generations who are more incline to eat fast foods. To me, it is tasty, and it is disappointing to see it disappear one day. Victoria is also the center for free duty shops offering free duty products such as liquors, cigarettes and chocolates and this is another attraction for tourists and offshore expatriates and workers. In the mainland, taxes for these products are extremely high and even ban in Brunei (except chocolates). I once saw a British tourist marveled at how ridiculously low the price of beer cost in Labuan in 1998, when Malaysia at that time faced the currency depreciation due to the Asian Financial Crisis. Nevertheless it is still comparatively cheap now. 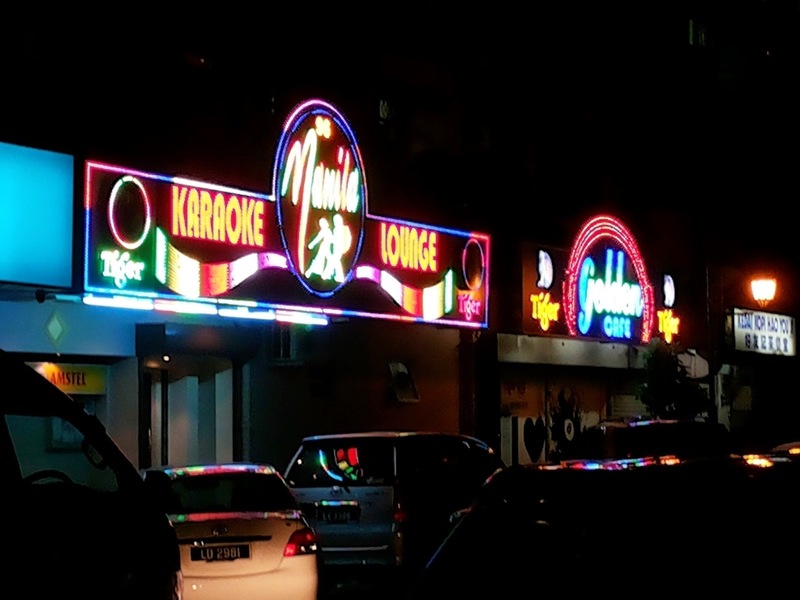 Another unique feature of Labuan is its colorful night clubs and pubs. 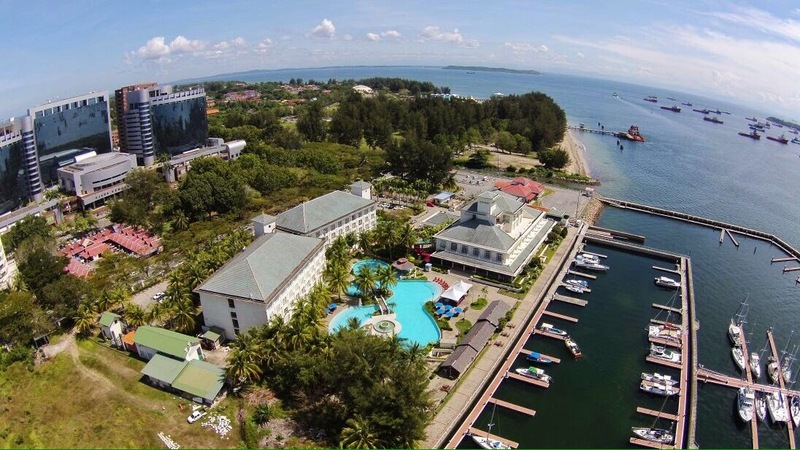 The above pictures shows the 5 stars Labuan Mariner Hotel (top), and one of the smaller 3 stars. 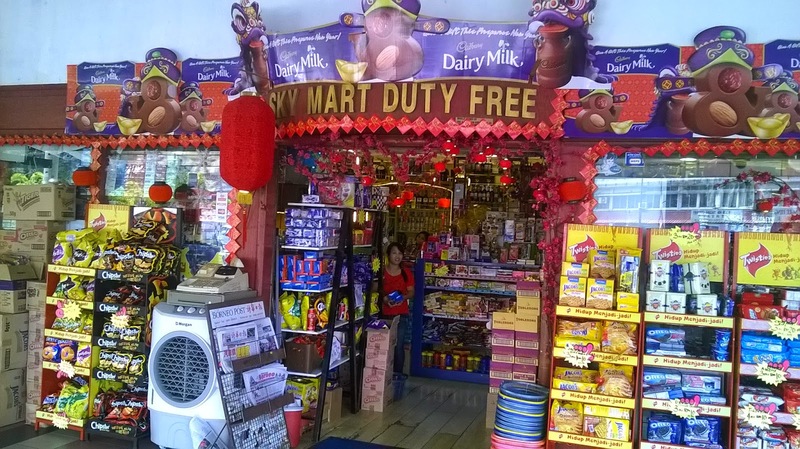 The above pictures shows the duty free shops (top) and the night life (bottom) in Labuan.